Reserves striker moving into the first team. 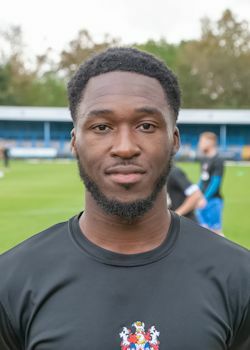 Since moving through the ranks, he has shown an increasing maturity, and a natural eye for goal, scoring four against Abbey Hey in the Manchester Senior Cup, as well as two in the FA cup, and has a knack for popping up at important points to score the winner. Such is his talents that he was put on contract; just in time, as Barnsley offered him trials and took him on loan. The Barnsley deal fell through, but Oldham paid for the youngster, and he moved to Boundary Park in the summer of 2016.